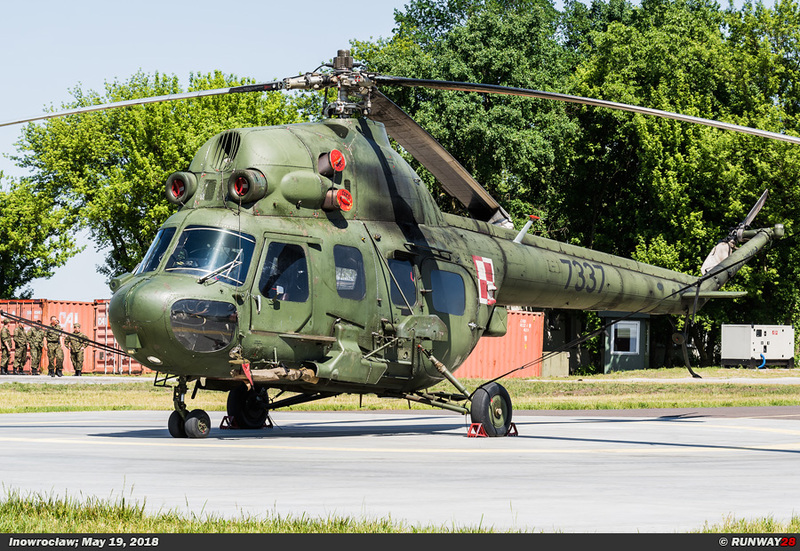 The largest helicopter base of the Polish Army which is part of the 1.BLWL is 56 Baza Lotnicza (56.BLot) Inowroclaw. 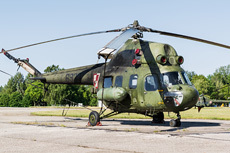 This air base of the Polish army is located about 10 kilometers northwest of the city of Inowroclaw in middle Poland. The base is equipped with utility and attack helicopters for offensive tasks. 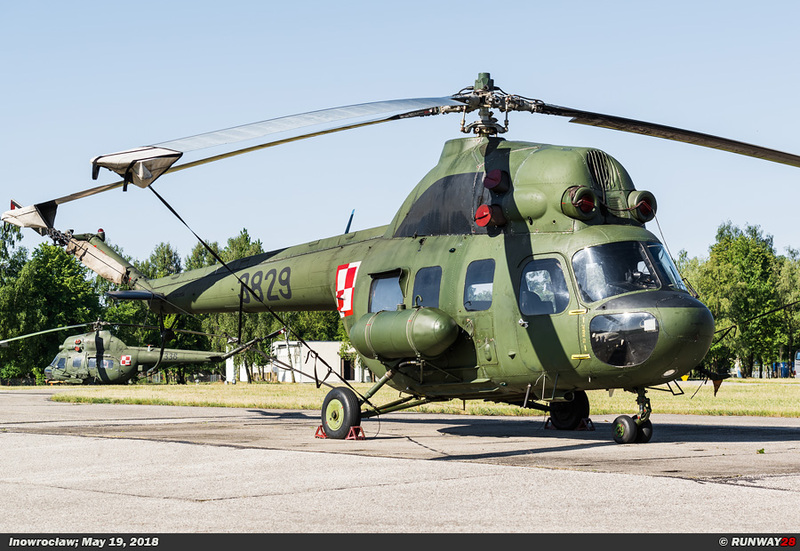 The Polish flying branch of the Army is referred to as the Lotnictwo Wojsk Ladowych (Army Aviation). 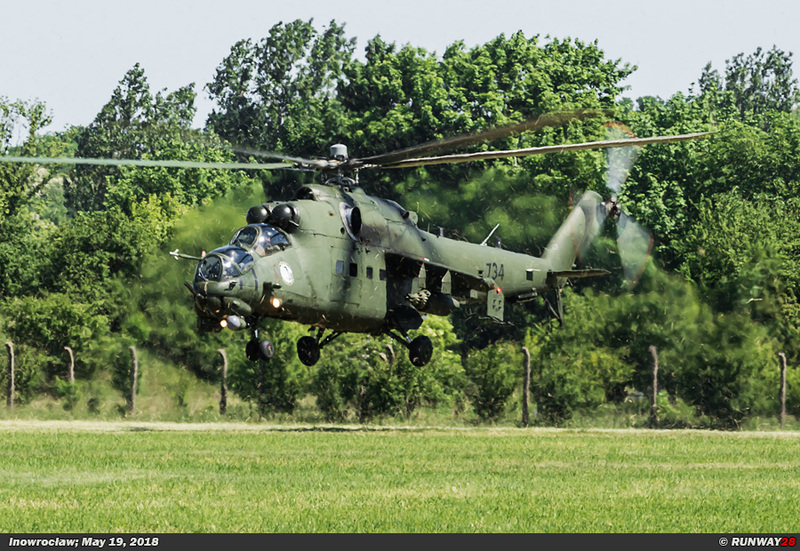 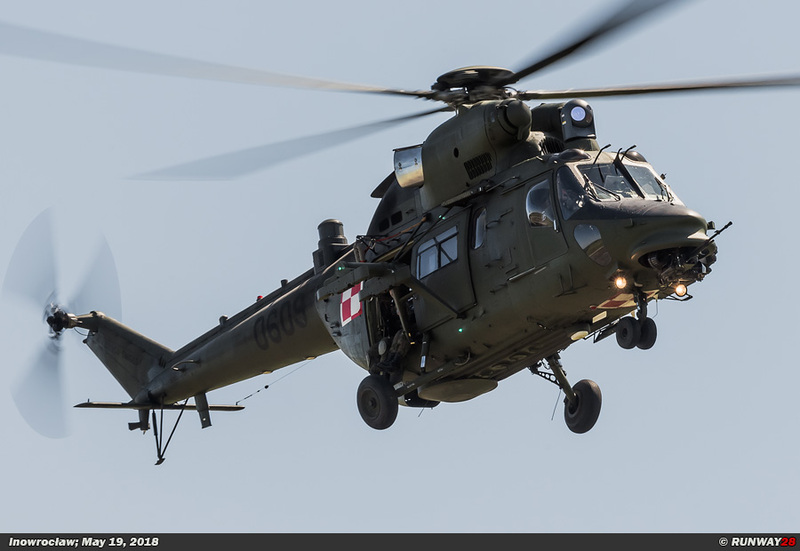 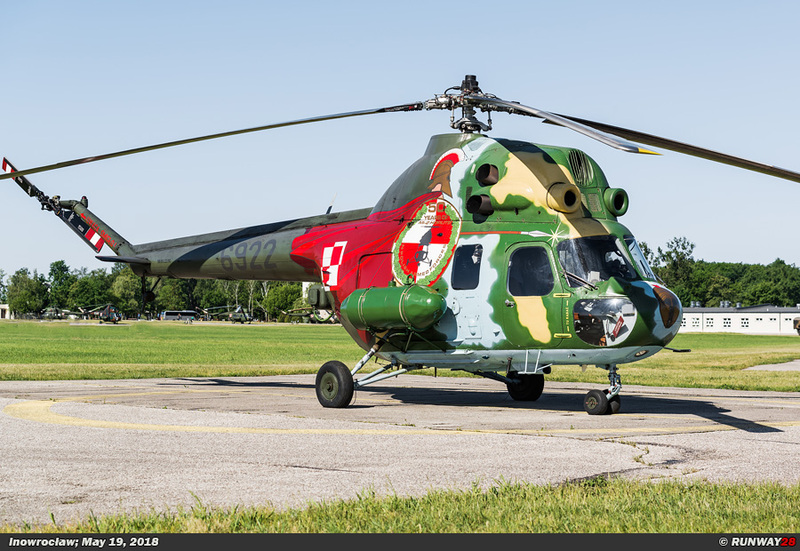 The Polish Army has two brigades with different types of helicopters in active service. 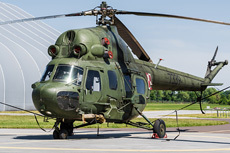 The helicopter units of the Polish Army are fully included in the regiment and brigade structure of this part of the armed forces. 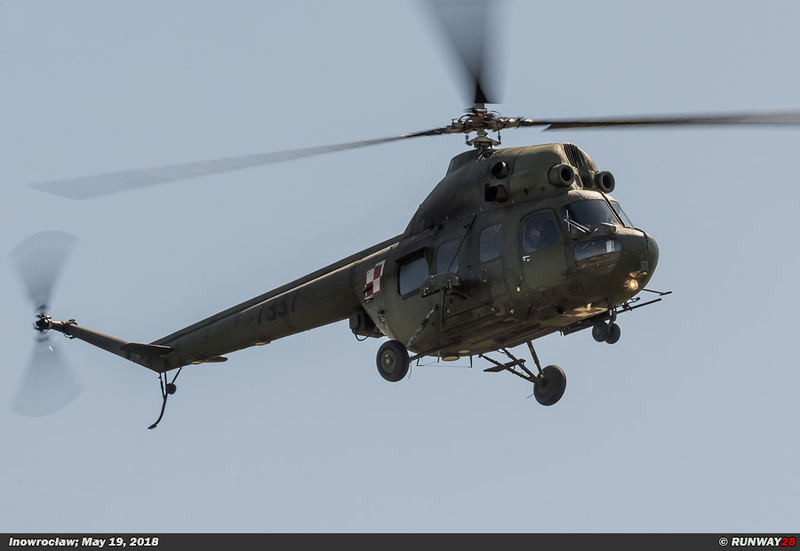 The Polish Army helicopters are therefore fully deployed in the service of the Polish land forces. The helicopters therefore have a supporting role. 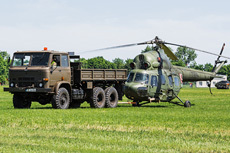 The helicopter units provide mobility and fire support on the modern battlefield. 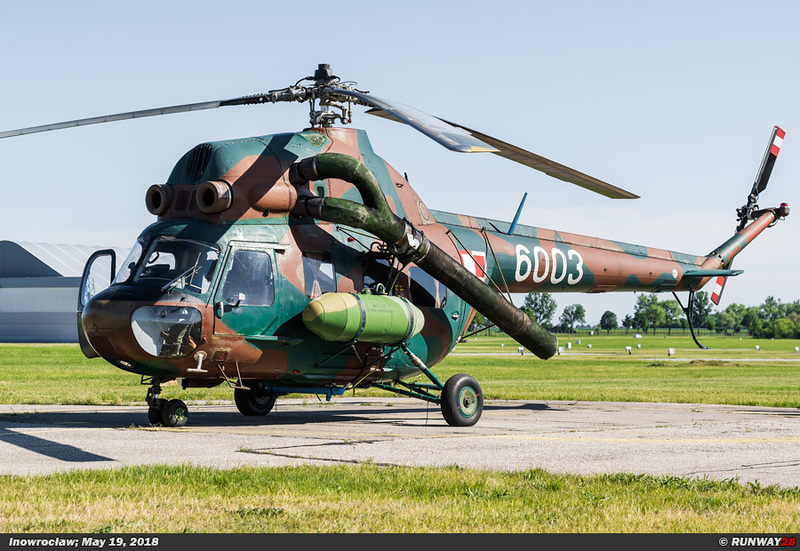 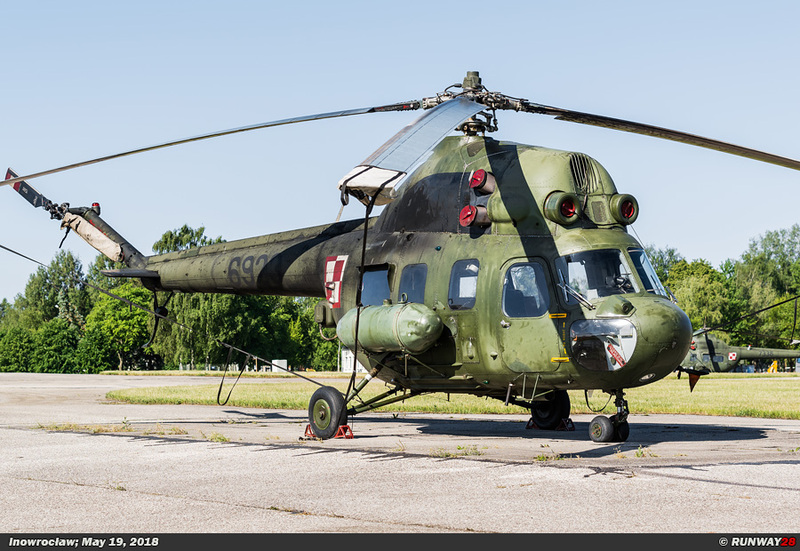 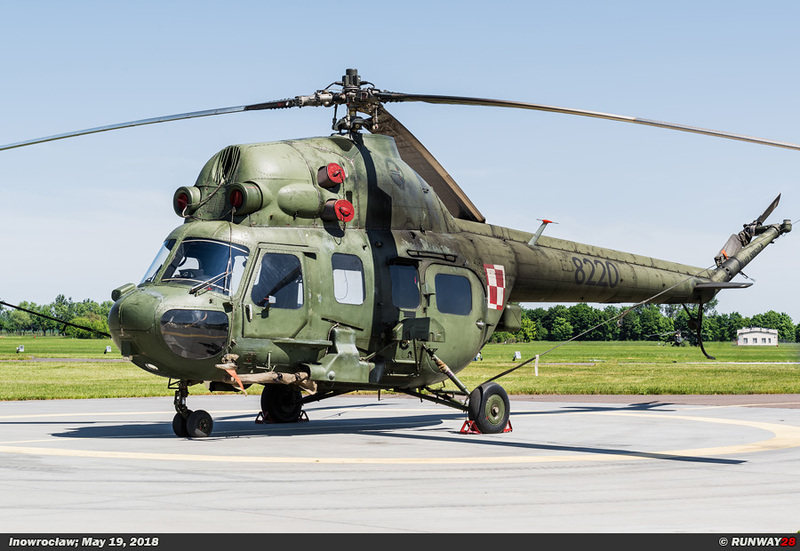 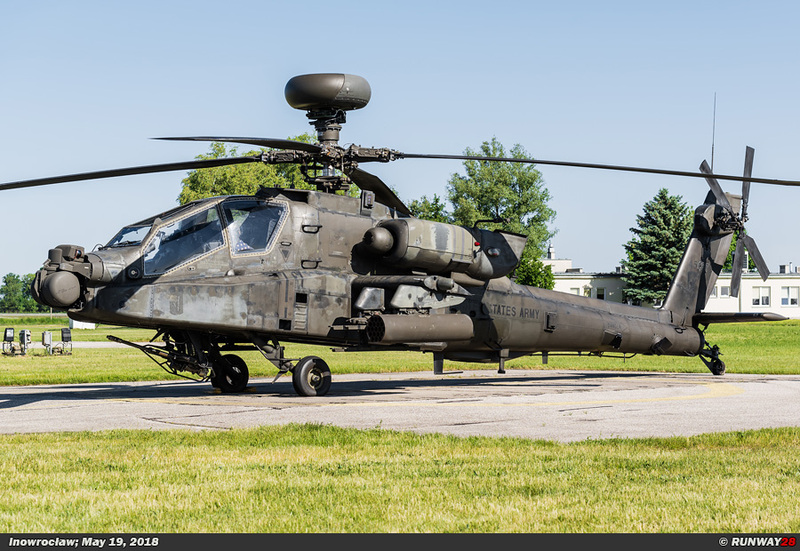 The 1 Brygada Lotnictwa Wojsk Ladowych (1.BLWL) (1 Army Aviation Brigade) is one of the two Brigades flying with helicopters in the Polish Army, which is referred to as Wojska Ladowe (WL). 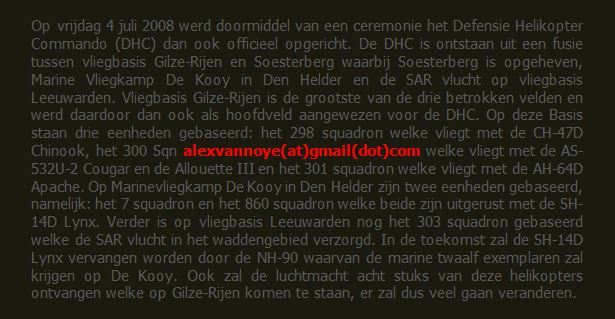 The 1.BLWL was founded in its current organization on March 15, 2011. 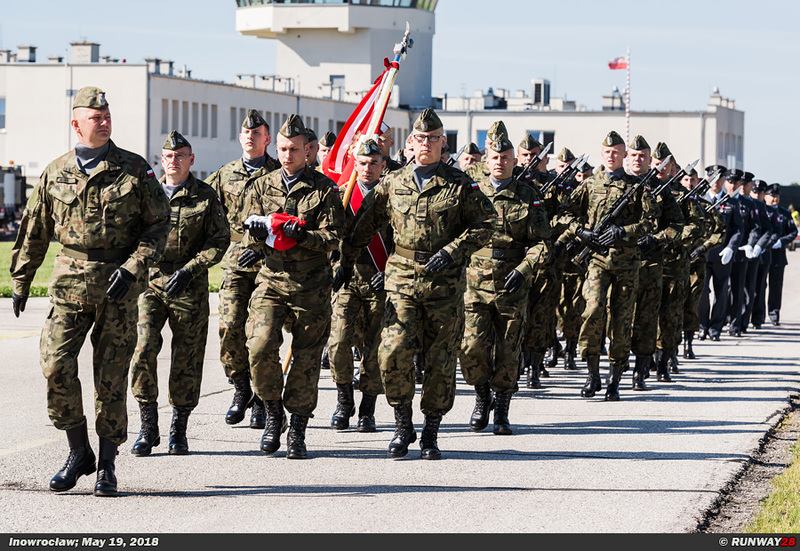 The 1.BLWL is made up of four regiments. These regiments are the 49th airbase Pruszcz Gdanski (49.BLot), the 56th airbase Inowroclaw (56.BLot), the aerial reconnaissance squadron at Miroslawiec and the central group for tactical area control. 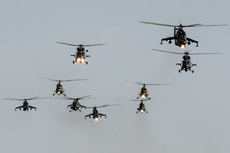 This last group has no flying equipment but is supportive for the flying units. 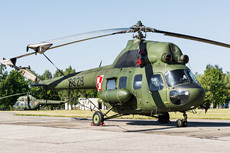 The headquarters of the 1.BLWL is located at Inowroclaw. 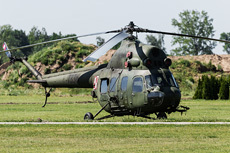 The 1.BLWL is an offensive helicopter brigade of the Polish Army. 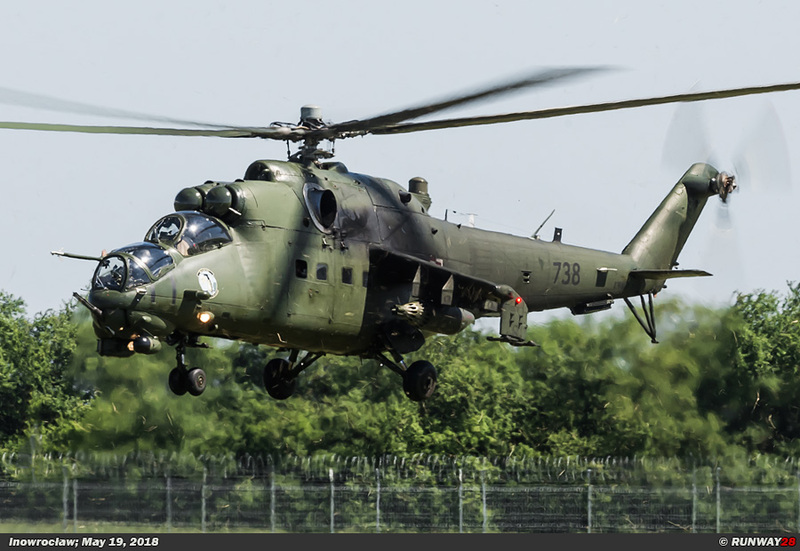 The units are equipped with heavy attack helicopters such as the Mi-24 "Hind" and light attack helicopters such as the Mi-2 "Hoplite". 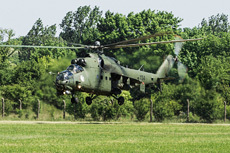 The units of the 1.BLWL also perform the CSAR tasks on enemy terrain; W-3 Sokol helicopters are used for this task. 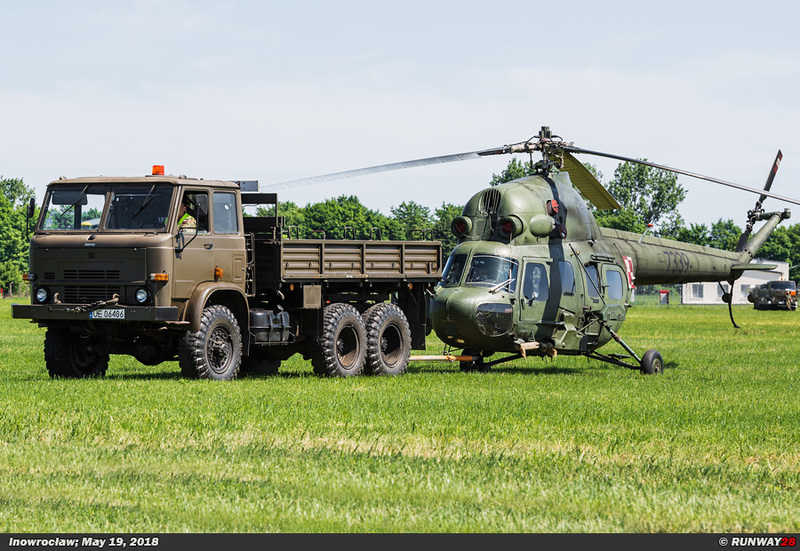 which is a transport unit. 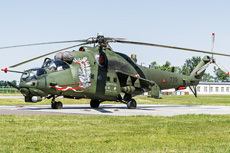 The emblem of the base Inowroclaw is an image from the history of the 56th Kujawski-Regiment combat helicopters. 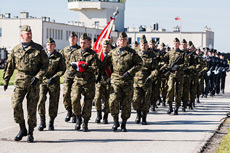 The badge honors the traditions of the Inowroclaw airbase. 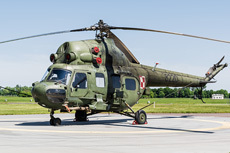 The emblem has the shape of a blade of the rotor of a helicopter which passes on the right side into a Hussar wing. 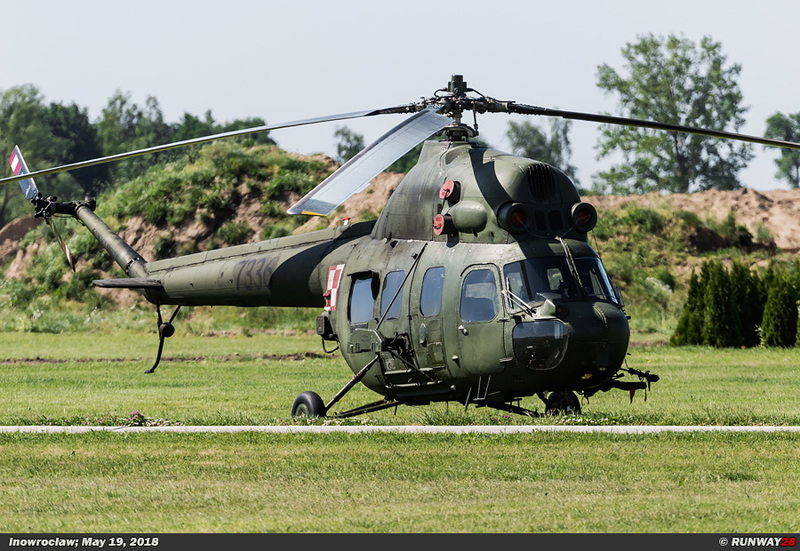 Between the sections of the shovel is the date "18 V 1963". 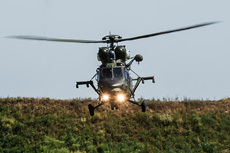 This date refers to the date of formation of the 56th Helicopter Regiment. 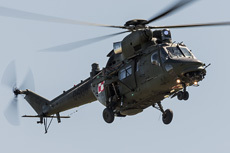 In the middle of the emblem there is a white and red chessboard at an angle of 45 degrees. The eagle symbolizes the aviation branch within the Polish Army and bears two missiles in the clutches. 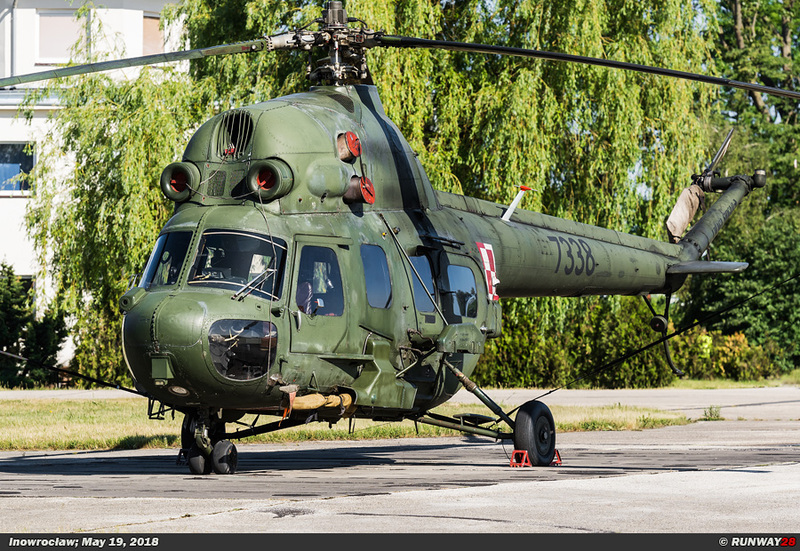 In order to carry out the tasks on the modern battle field, Inowroclaw has received a drastic update since the reform. 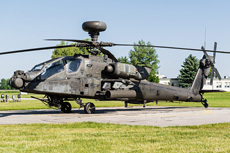 The base has been modernized, because new platforms, storage hangers and maintenance hangers have been built on the base. 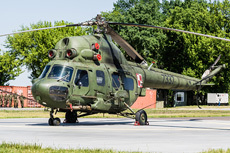 The airbase is now ready to accommodate several NATO detachments. 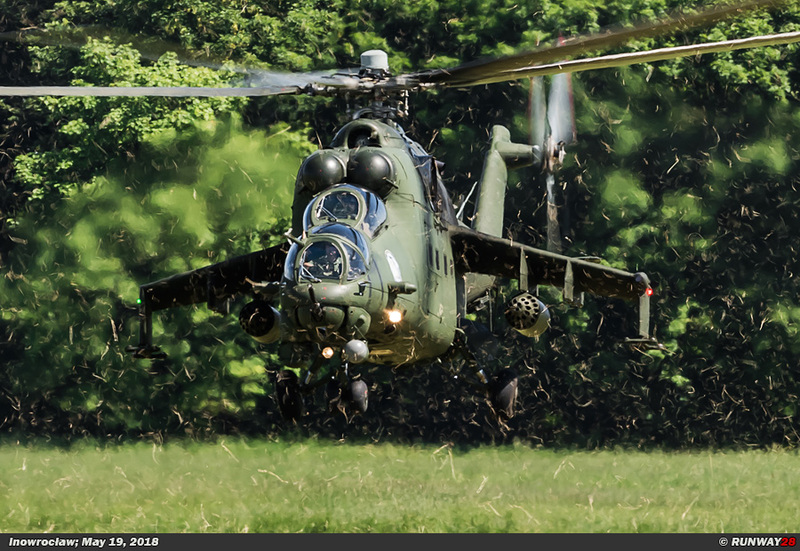 The 1.ESSz and 2.ESSz both fly with the Mi-24D and the Mi-24V "Hind". 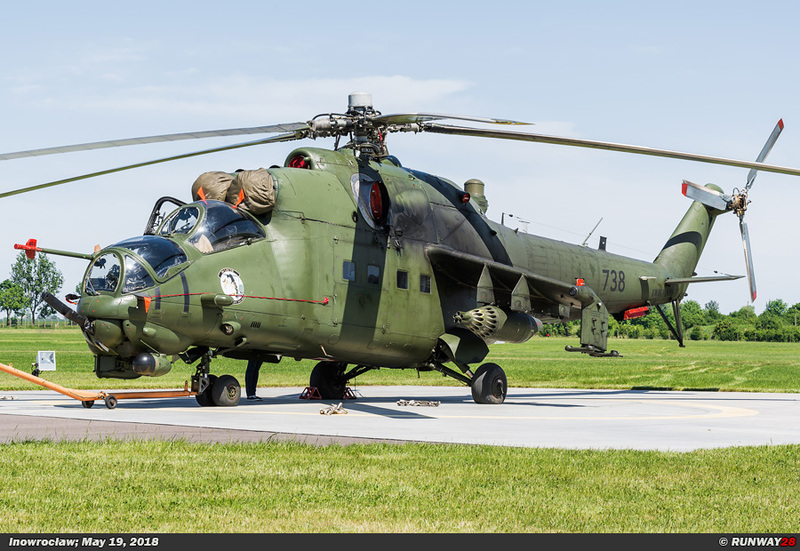 This last variant of the Hind is a modernized version of the Mi-24D which can carry multiple types of weapons. This variant of the Hind entered service at the beginning of the 80s in the Polish Army. The 2.ESSz is also flying alongside the Mi-24 with a number of W-3 Sokol helicopters which are deployed in the offensive role, just like the Mi-24. 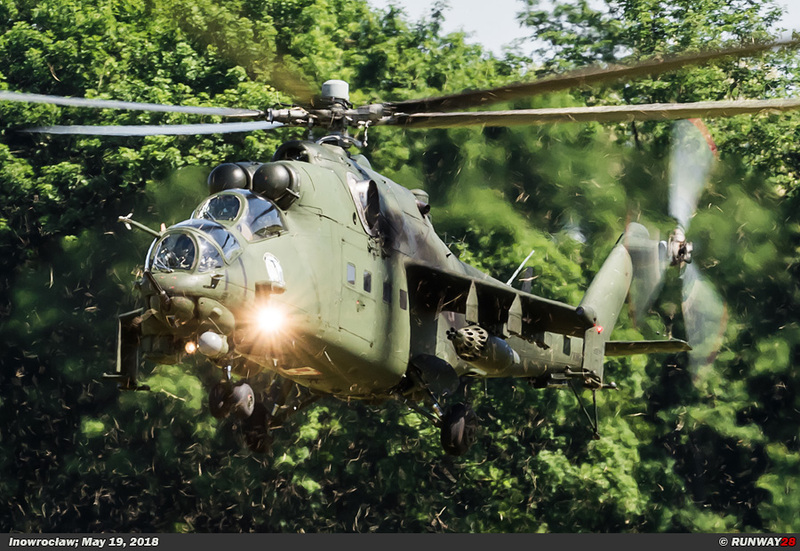 The Mil Mi-24 is a helicopter with a dual role. 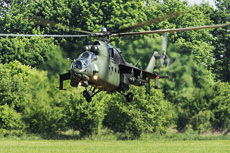 The helicopter was designed as both an attack helicopter and a transport helicopter for troops. 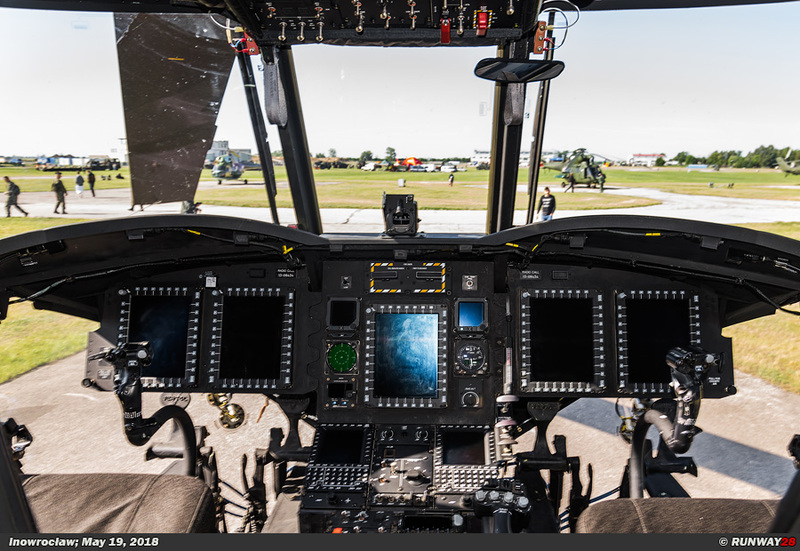 The concept of a gunship with multiple missions was quite revolutionary at the time of commissioning. 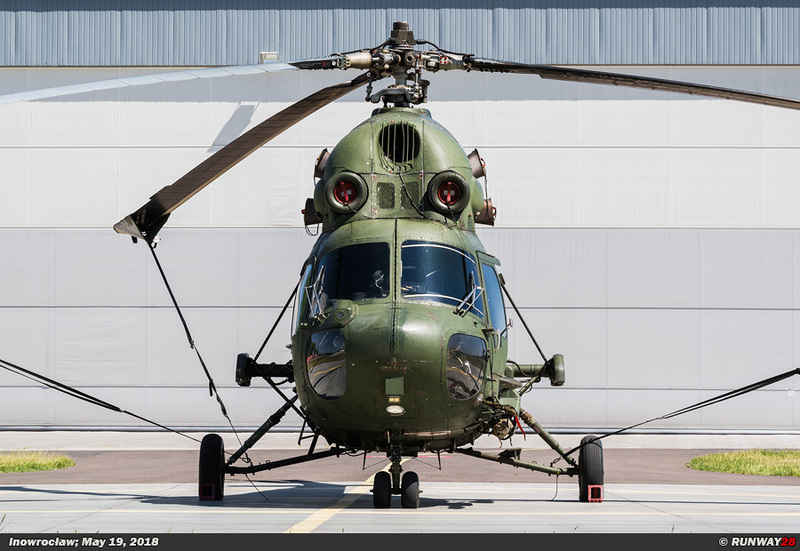 Until now, the Russian helicopter has no Western counterpart. 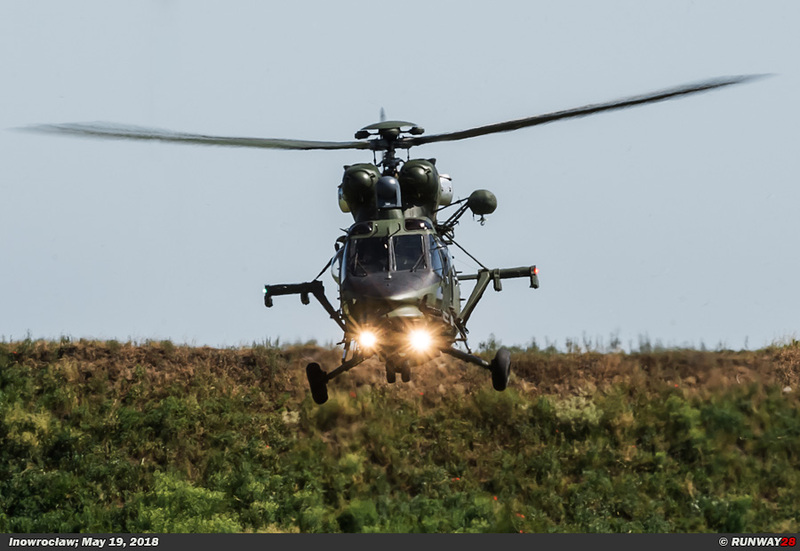 The Hind is not built for comfort, the helicopter is built for speed and strength. 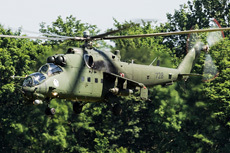 Due to its heavy armor, the Mi-24 earned the unofficial nickname "flying tank". 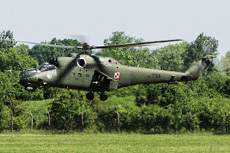 Also in Poland the helicopter is deployed in the offensive role. 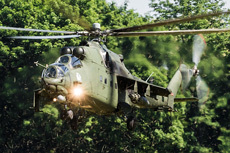 The helicopter has been used for many years in the Close Air Support (CAS) role. 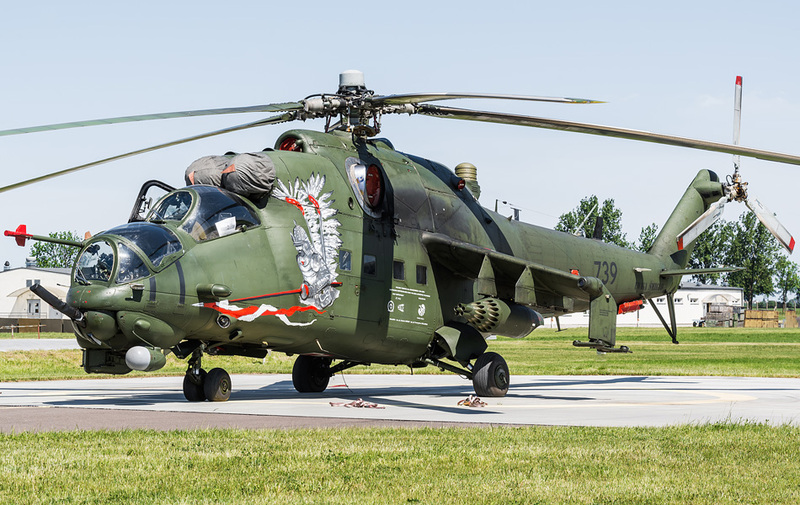 The Mi-24 has a movable canon in the nose in the form of a 12.7 mm Yakushev-Borzov Yak-B Gatling gun with a maximum of 1470 cartridges. 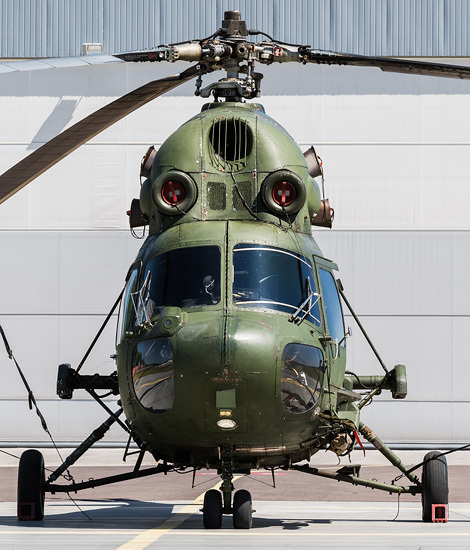 Under the wings, the helicopter can carry multiple rocket pods or 9K114 Shturm anti-tank missiles. 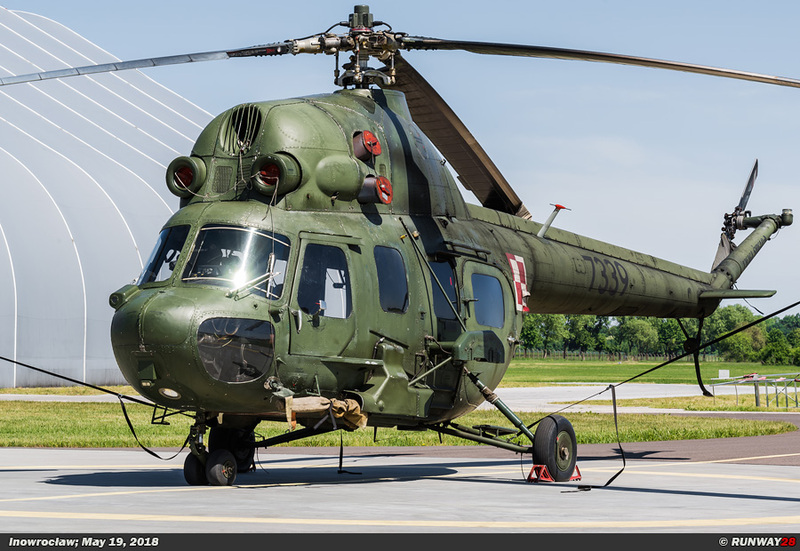 At the moment, there is a debate in Poland about whether to modernize the outdated Hind helicopters or replace them with a new helicopter. 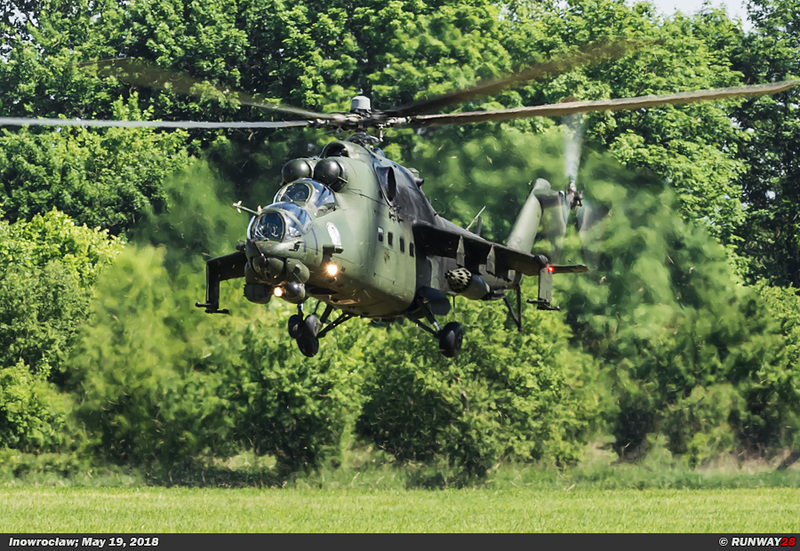 The helicopters are old and, moreover, the army is heavily dependent on Russian spare parts, while the political relationship with Russia is not the best at this moment. 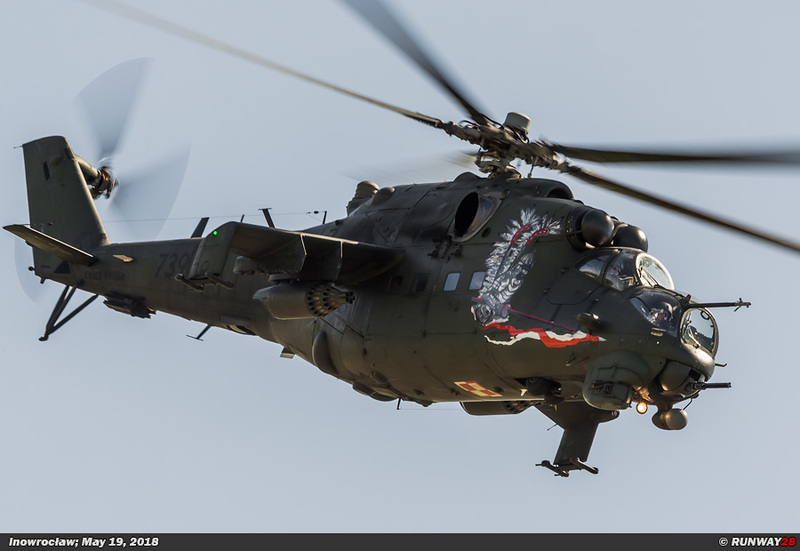 The 3.ESSz and the 4.ES are both offensive units which fly the Mi-2URP Hoplite and Mi-2URP-G Hoplite variant. 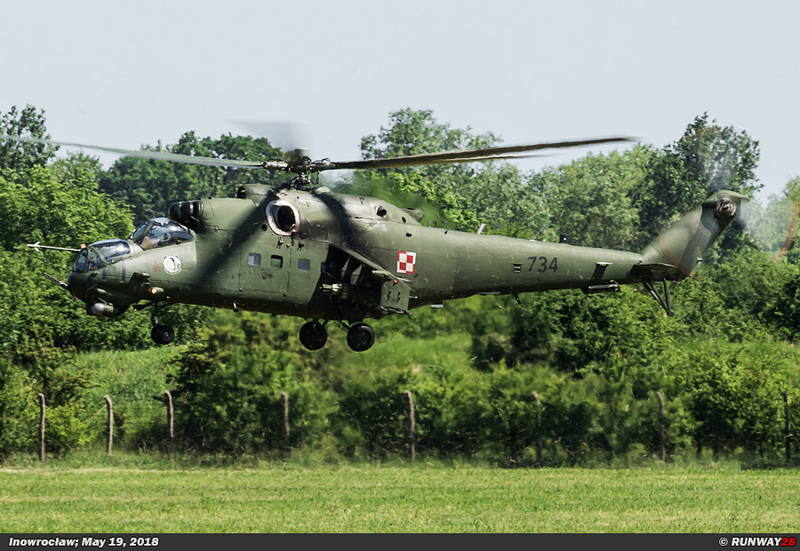 The Mi-2 has been by far the most used helicopter in the Polish Army over the years. The Mil Mi-2 was produced exclusively in Poland at the WSK factory "PZL-Świdnik" in Świdnik. The Mi-2URP is referred to as the Salamandra (Salamander) and is a gunship and anti-tank variant of the standard Mi-2. 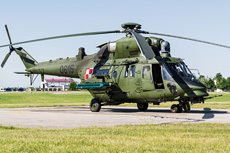 The helicopter can be equipped with 23mm NS-23 guns and with optional 7.62 mm PK machine guns mounted in the doors. 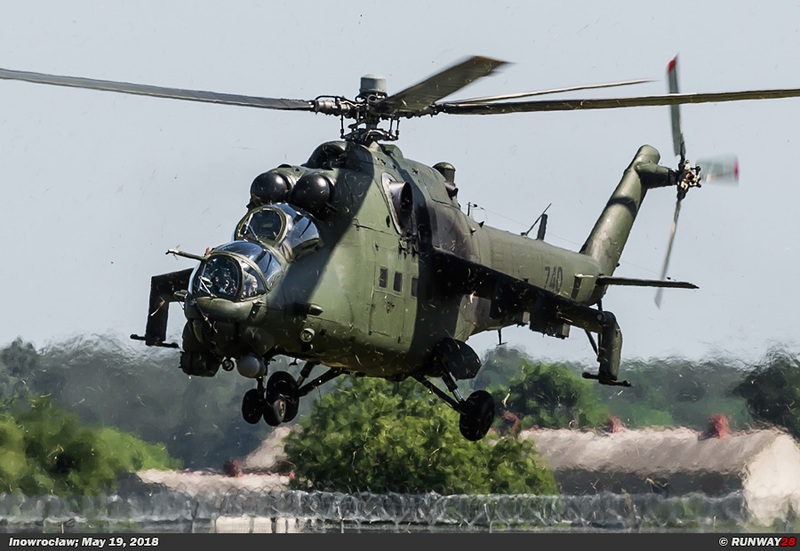 The Mi-2URP can also be equipped with 9M14M Malutka wire-guided anti-tank missiles or with rocket pods. 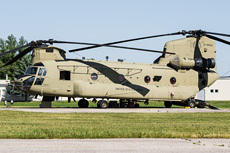 A further four additional rockets can also be carried in the cargo bay. The missiles can be mounted on the side against the fuselage. 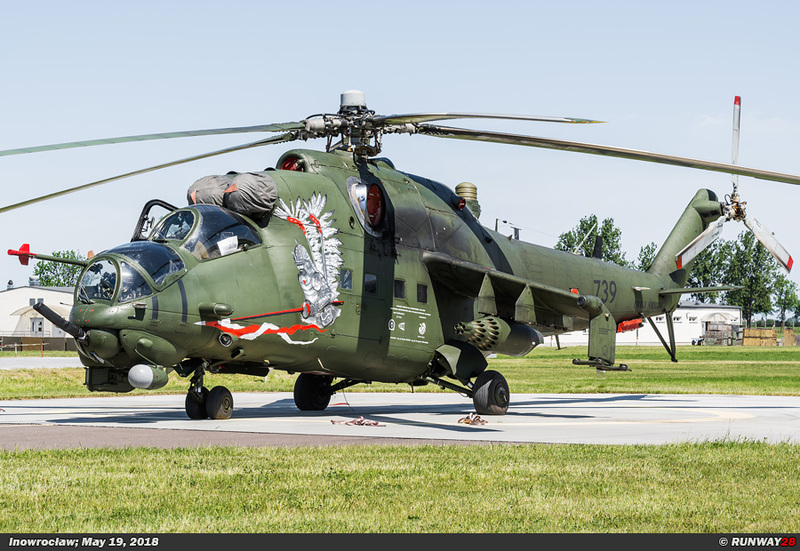 The Mi-2URP-G, where the letter G stands for Gniewosz (smooth hose), can be equipped with four Strzała-2 anti-aircraft missiles. 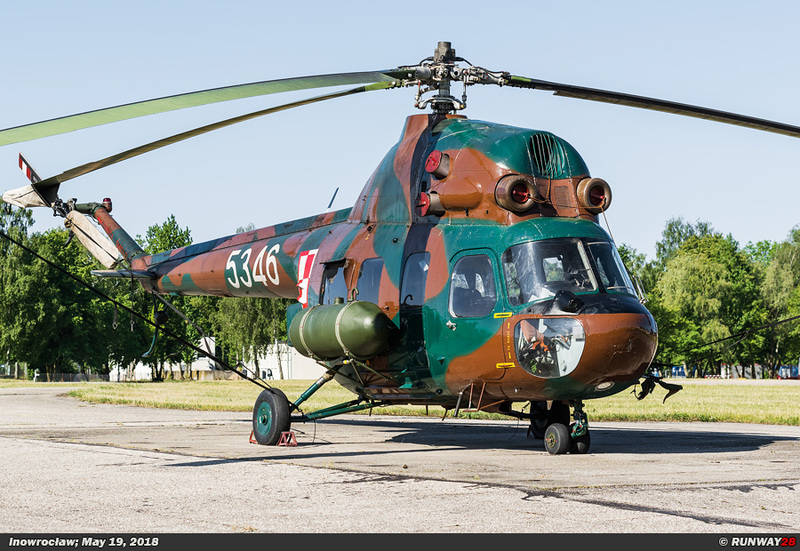 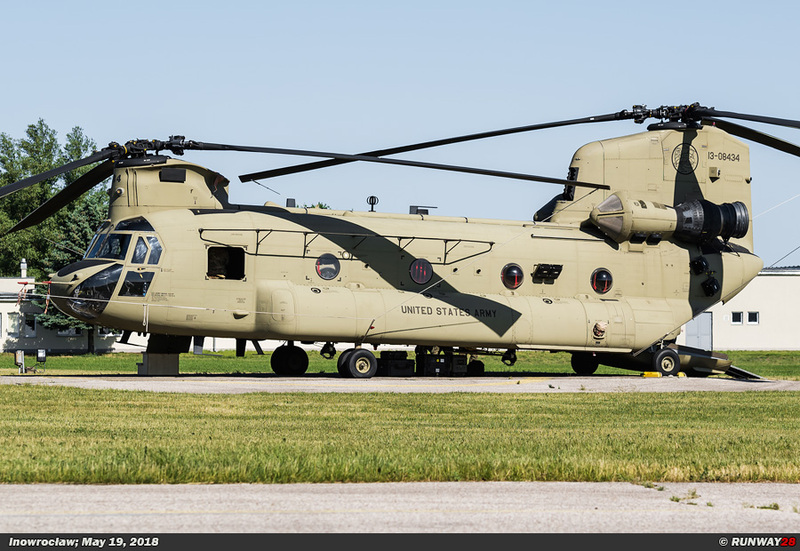 These helicopters can be used as light utility helicopters to support the ground forces of the Army. The helicopter can also be used for exploration. 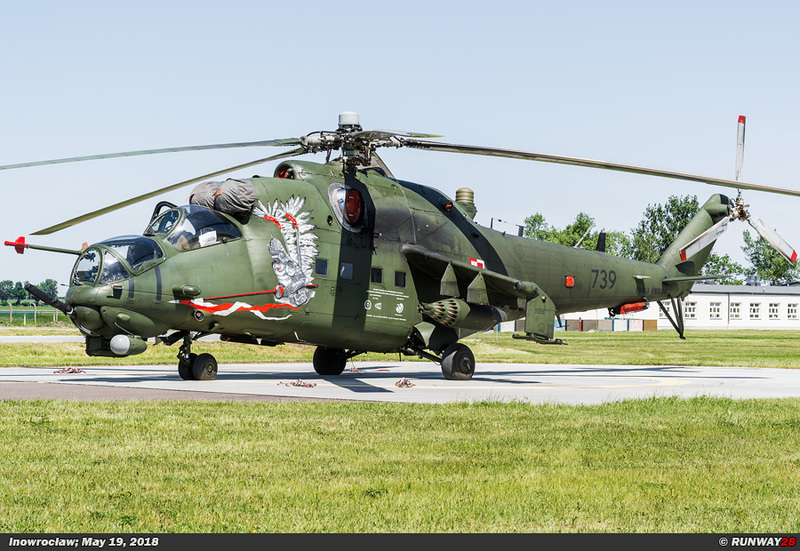 Finally, 4.ES also flies with a variant of the Mi-2 "Hoplite". 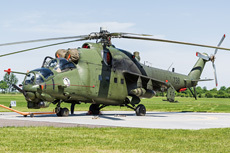 This connection unit has several Mi-2D helicopters which function as a flying command post. The helicopter is equipped with extra radio communication, coding and telephone equipment. The second version that the 4.ES has in use is the Mi-2R. 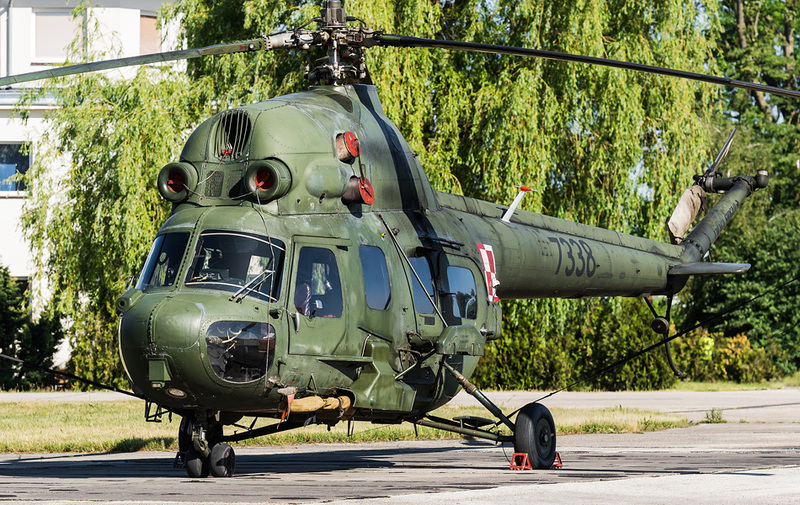 This helicopter is originally the agricultural version of the Mi-2. 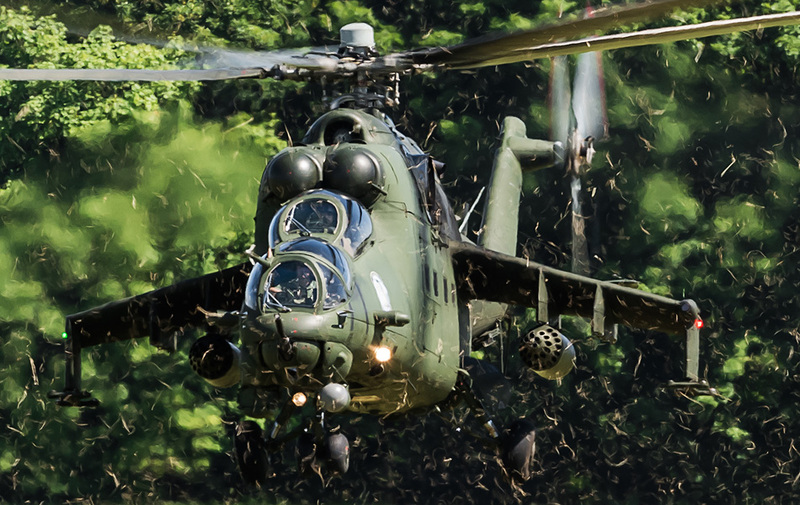 In the service of the army, the helicopter can be used to spray chemicals or making a smokescreen.